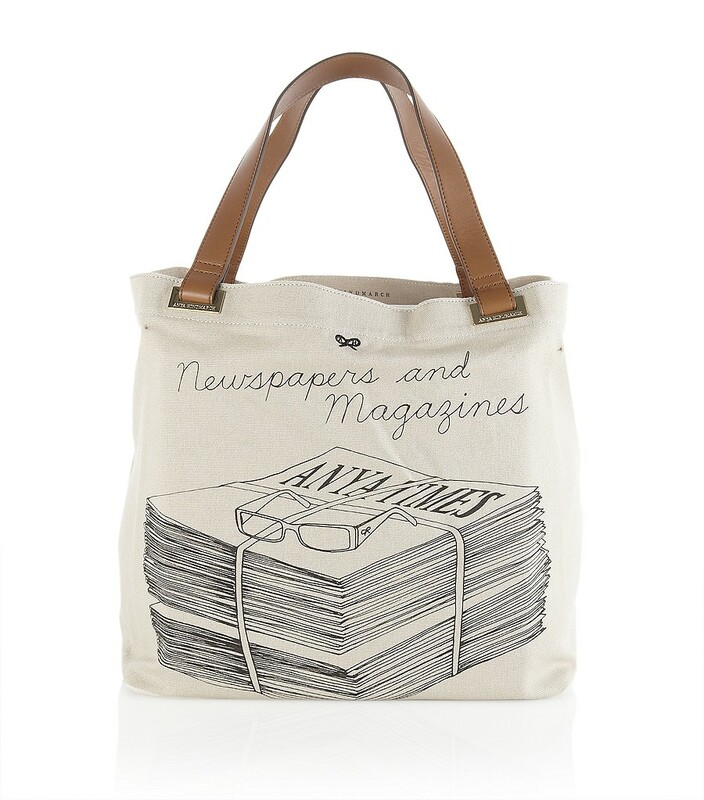 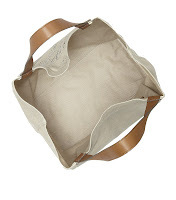 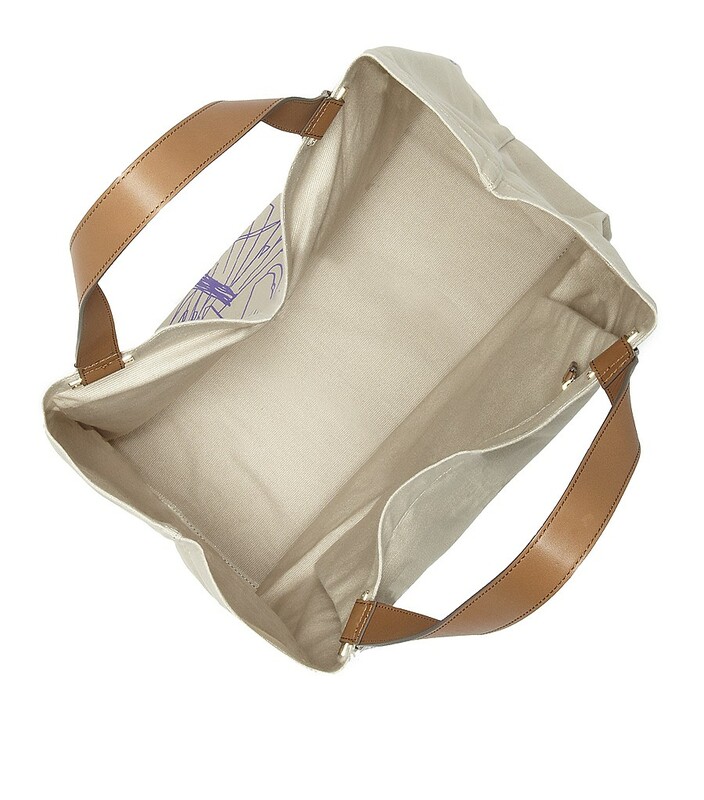 Anya Hindmarch’s newspapers and magazines tote in light grey is a playful accessory crafted in hardwearing canvas. 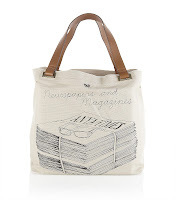 Finished with tan leather handles and a printed motif at the front, this beautiful bag is the perfect accompaniment to a morning coffee and magazine. 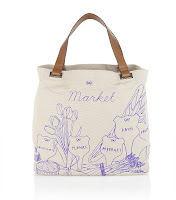 Market day has never been so fun with Anya Hindmarch’s large market tote bag. Crafted in hardwearing canvas and finished with tan leather handles and a printed motif at the front, this beautiful bag is perfect for everyday wear.